Summary: Excellent star chart app available for both desktop (free) and mobile devices (small charge). Highly recommended. 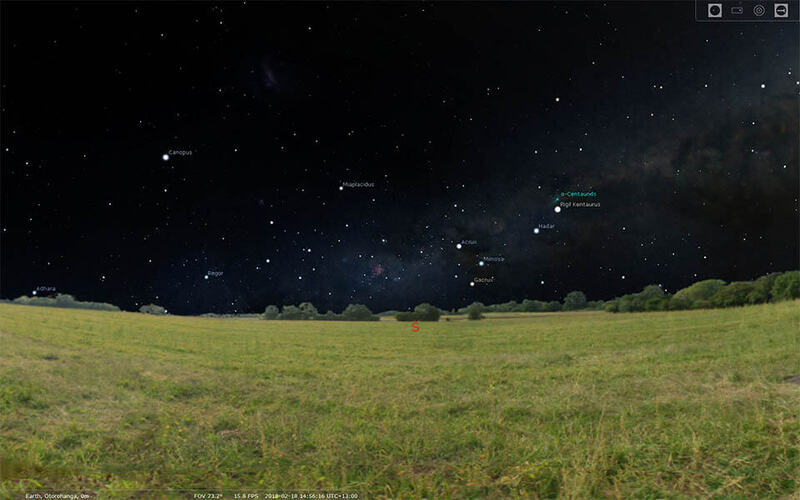 On the home desktop, I think Stellarium is probably the best all-round planetarium-style astronomy software available. If you're looking for a simple-to-use guide to what's in the night sky, this is it. 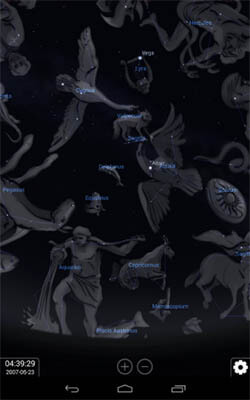 However it's much more than a simple star chart—it's a serious astronomy tool rich with viewing options and information about celestial objects. It's very popular in the astronomical community. We use it at the space centre for our "Night Sky Viewer" interactive display. At the local observatory where I work, it's used for public presentations as well as to plan telescope sessions and even control telescopes. It's popular with both amateur and professional astronomers. Since it's free, you really can't go wrong—just go to the website now and download it (see link above). 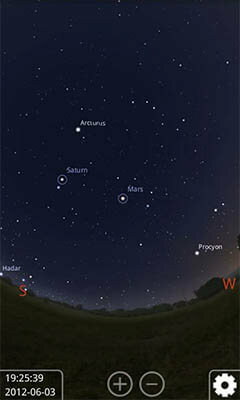 If you're looking for a mobile app, Stellarium is a great option. However it's not really the clear winner in the mobile market that it is on the desktop. The competition is much more fierce in mobile astronomy and you'll find many other apps that have features missing from Stellarium. Of course no app has all the features you could ever want, and Stellarium does a very good job of getting the basics right. There is also the advantage of having a similar interface to the desktop version, making it easy to go from one to the other. Unlike the desktop version, Stellarium Mobile is not free. See store links above for current prices.